For the second consecutive Sunday a Harriers raiding party crossed the Humber to take part in Barton & District AC’s Deepdale Dash 10k. This popular event is rated as one of the top 3 10k events by Runner’s World magazine readers, it features an undulating course starting outside Baysgarth School looping out into the countryside before returning to Barton and finishing on the school playing field. The day started with foggy conditions but the sun broke through for most of the course leaving all most ideal conditions with only a slight breeze and cool temperatures. The race started at the school entrance before a fast downhill section into Barton before turning for the first of a number of long gradual climbs out to Deepdale then looping back into Barton with the finish on the school’s playing field, which proved a little tricky after recent rain. 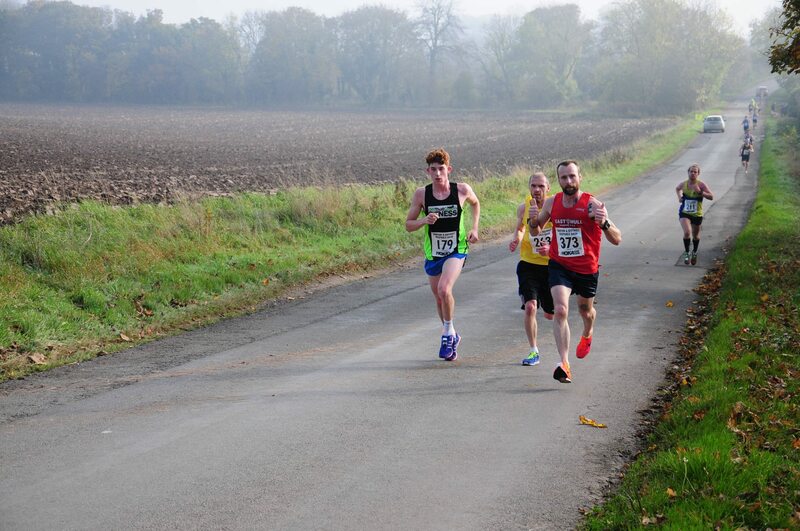 Steve Davey kept on the right course this week to finish first Harrier in 6th place with a PB time of 35.47. Listed below are all EHH runners times and positions, a total of 343 runners completed the course, the winner was Carl Ryde of Doncaster in 33.33. As in previous years Barton & District AC produced a fantastic goody bag for all finishers it included an event hoody, a tube of toothpaste, a bag of crisps, energy porridge, a pen and various other little bag fillers. The support all the way along the route was fantastic with lots of marshals and excellent organisation.